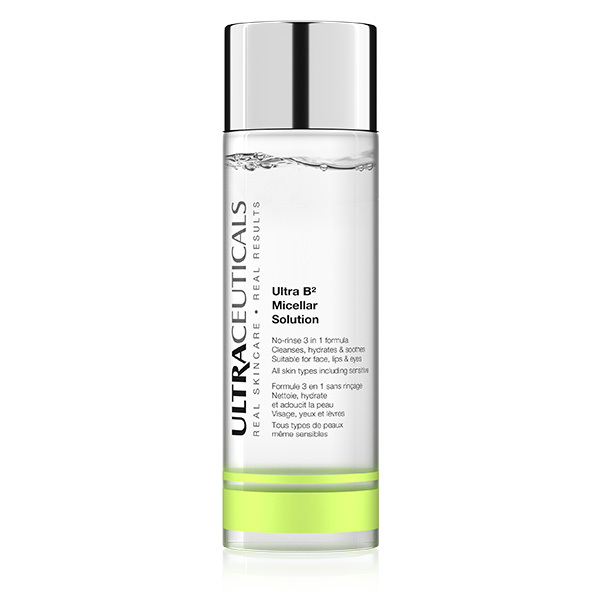 This no-rinse micellar solution thoroughly cleanses to remove impurities and make-up on the face, lips and eyes. 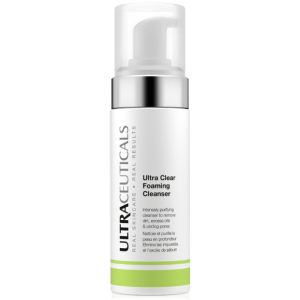 Ultraceuticals can only be purchased in the salon or online directly through the official Ultraceuticals website. This no-rinse micellar solution thoroughly cleanses to remove impurities and make-up on the face, lips and eyes. The ‘micelles’ act as a gentle magnet to capture dirt, excess sebum and make-up without stripping the skin. Featuring Ultraceuticals B2 Technology (Vitamin B3 and Provitamin B5) to help hydrate, and Cucumber Extract to refresh the skin. Paraben free. Soap free. Alcohol free. Ingredients: Aqua, PEG-7 Glyceryl Cocoate, Poloxamer 184, PEG-6 Caprylic/Capric Glycerides, Propanediol, Methyl Gluceth-20, Glycerin, Panthenol, Niacinamide, Allantoin, Cucumis Sativus (Cucumber) Fruit Extract, Disodium EDTA, Caprylhydroxamic Acid, 1,2-Hexanediol, Potassium Sorbate, Sodium Hydroxide.